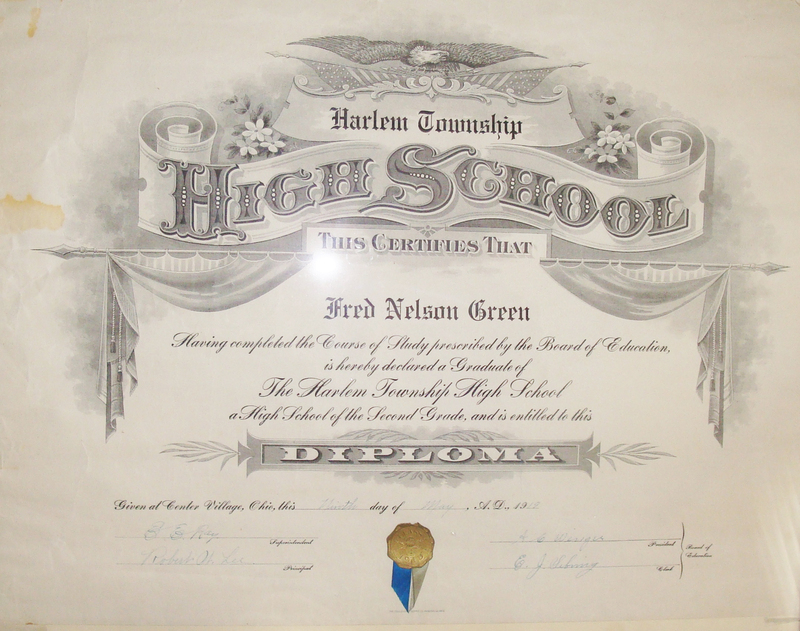 When Fred Nelson Green graduated from Harlem Township High School in May 1919. Commencement Exercises were on May 8th. Bessie Louise Oldham, Roxanna Grove, Silas D. Hill, James C. Owens, James A. Oldham and Freel A Laymon were on the Class Roll with Green. Miss Frances Hopewood and Miss Gertrude Lawrence were the teachers. 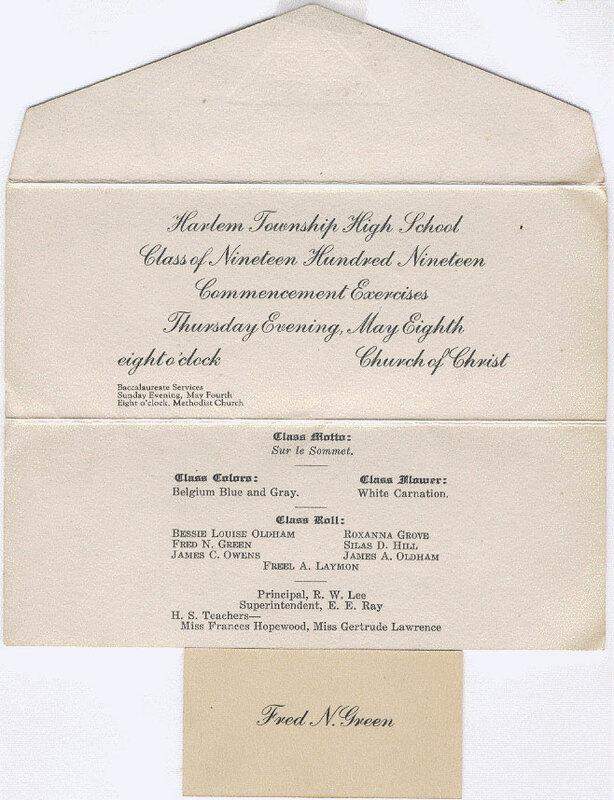 According to the diploma issued May 19, 1919, Harlem Township High School was a second grade school under the leadership of Superintendent E. E. Ray and Principal Robert W. Lee. By the following year the school was upgraded to a school of the First Grade and Green was issued another Diploma on May 21, 1920. 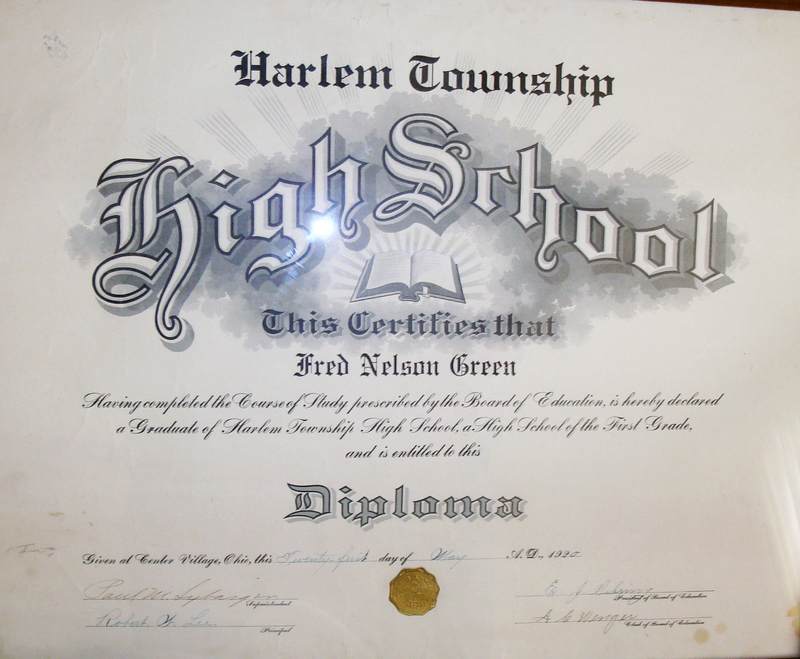 Following graduation, Green went on to tech in Fix School in Harlem Township.